Anyone who has ever asked themselves ‘Why on earth do I do that?’ will find answers in this series of books as we explore the rich wisdom of the Enneagram, an ancient tool for self discovery. But more than that, it answers the ‘So what?’ question too. Not only do these stylish, easy reads unravel the core, subconscious drivers of personality and behaviour, they also invite the reader to do something about it using simple, accessible coaching exercises suited to meet the needs of each type specifically, but useful for all. In our profession as trainers, we see, time after time, the massive impact of this material, releasing people from painful patterns and from the limitations of their subconscious conditioning. We know it works. We know people want it. These books offer it to a wider audience than our training courses currently allow. Those who are striving, from professional and personal perspectives, to improve the quality of their lives, their work, their relationships, have a profound need to first understand themselves. 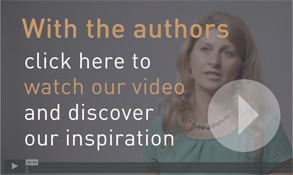 This series meets the needs of those without psychology backgrounds and with limited time for research, to know their own motivations and learn to work to their own strengths, encouraging the same in others. Incidentally, those with psychology backgrounds give us very enthusiastic feedback – this material enriches even their understanding. This series offers huge benefit to those involved in developing people – managers, Human Resources, those in caring professions, students and leaders in education or social work. Parents and families find this material transformational, empowering younger readers, teenagers in particular. Families find it revelatory as they finally understand the dynamics and challenges of which they have previously been aware but have been unable to explain or optimise. This is an ‘easy read’ book, visually attractive, designed to dip into with an unexpected depth, which hooks by pure fascination. The Enneagram Insights series offers irresistible understanding – of the drives and motivations of self and others. On first meeting, in The Enneagram Encountered, the Enneagram may know us far better than we know ourselves: it is an uncanny and intriguing experience. This book feeds our natural human curiosity to discover why we do the things we do: questions cascade as more and more answers are given. The path diverges and many wonders are revealed along the way, but always a profound truth calls us home.This first book introduces the reader to the Enneagram, the three centres and each of the nine personality types. In addition, alongside the understanding of each type, this book offers a practical approach to utilising this knowledge to enhance personal and professional balance. Developed with classes of children, with excellent feedback from children, parents, teachers and governors, this is currently in workshop format, the book will follow shortly. We are currently creating a resource bank for teachers. In this second book we will take you into the fascinating interplay between types: the linkages and influences, the subtleties, which make sense of why there are infinite possible variations within each type, but why they are grouped together. 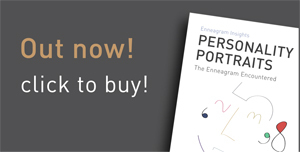 This book offers an exploration of the links and connections between personality types which is distinctive: it is different from the mainstream descriptions offered by Enneagram authors and trainers. This gives you greater clarity, not just about how the types can be distinguished, but also about how to use this information to move yourself and encourage others towards greater emotional health and stability. Through compassion for self and others, interactions are vastly improved and relationships enriched.We finish the second book with a chapter on self management – we want to be very clear that improved experience and interactions are never going to be about changing anyone other than ourselves, for that is where all our power lies. Understanding more about the behaviours we might encounter in others will help only if we are ready to use that to pre-empt and optimise our own responses to challenging situations. The Enneagram gives us a huge advantage in terms of understanding why certain things trigger imbalance in ourselves. Our final chapter points the way to more tools and techniques, which will help us regain our balance and preserve it more confidently.